Los Angeles, CA � During the 2019 Roland International Press Conference, held Thursday, January 24, 2019, on the first day of The NAMM Show in Anaheim, California, Roland and BOSS presented their fourth-annual Lifetime Achievement Awards to acid-house pioneers DJ Pierre and Spanky of Phuture (Roland), and guitarist, multi-instrumentalist and songwriter Danny Kortchmar (BOSS). Additionally, as part of the company�s ongoing dedication to supporting music education, Roland presented its inaugural Lifetime Achievement in Education honor, which went to Dr. Randall Faber, co-founder of Faber Piano Adventures�. The Roland/BOSS Lifetime Achievement Awards recognize individuals for their invaluable contributions to the music industry while using Roland and/or BOSS gear throughout their careers. 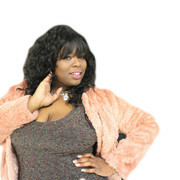 The gala event, hosted by Leslie Lewis (President, Leslie Lewis Consulting, and Producer, GRAMMY� Nominees Album Series), was attended by artists, musicians, and leading journalists from the music industry. The event began with Brian Alli, Roland Corporation Vice President of Key Influencers and Business Development, presenting the first-ever Roland Lifetime Achievement in Education award to Dr. Randall Faber. As pianist and educator, Randall Faber has appeared as special guest at universities throughout North America and Asia such as the Beijing Central Conservatory and the Royal Conservatory of Canada, at the Music Teachers National Association Conference, the World Conference on Piano Pedagogy, National Conference on Keyboard Pedagogy, the Australasian Piano Pedagogy Conference and the USA National Piano Teachers Institute. Dr. Faber holds three degrees from the University of Michigan and a Ph.D. in Education and Human Development, and his research on motivation and talent development has been featured in journals and media in South Korea, China, Australia, and at the International Conference on Motivation in Portugal. Randall and his wife Nancy are well known as authors of the best-selling Piano Adventures teaching method. Translated to seven languages, their books have sold tens of millions of copies around the world. Last year, Piano Adventures by Nancy and Randall Faber was selected as the recipient of the prestigious MTNA Frances Clark Keyboard Pedagogy Award for 2018. The Faber�s are co-founders of the Faber Piano Institute. Next, Brian Alli presented the Roland Lifetime Achievement Award to DJ Pierre (present) and Spanky (posthumously) of acid-house collective Phuture. Begun in 1985 in Chicago, electronic music collective Phuture is widely credited with inventing and developing the sound of acid house music. Their seminal 1987 12-inch single �Acid Tracks� is known as the first acid house record, a style that prominently uses basslines formed with the Roland TB-303. The group is still active today, although without Spanky, who passed away in 2016. Third, Alli presented veteran guitarist, multi-instrumentalist and songwriter Danny Kortchmar with the BOSS lifetime achievement award. A renowned guitarist, producer, songwriter and session musician, Kortchmar has played, produced and written for James Taylor, Don Henley, Carole King, Linda Ronstadt, Jackson Browne, and many more. As a songwriter, Kortchmar has either written alone or collaborated with numerous artists and has penned tracks like Don Henley�s �Dirty Laundry,� �All She Wants to Do Is Dance� and �New York Minute,� as well as Jackson Browne�s �Somebody�s Baby� and �Shaky Town,� to name a few. In the 1970�s and 1980�s, Kortchmar was a member of The Section, best known for both their studio and live work in support of some of the top selling singer/songwriters and solo singers in the history of music. Together, The Section helped define the sound of a generation. Recently, Kortchmar put members of The Section back together again, and they now perform regularly live around the world as The Immediate Family. 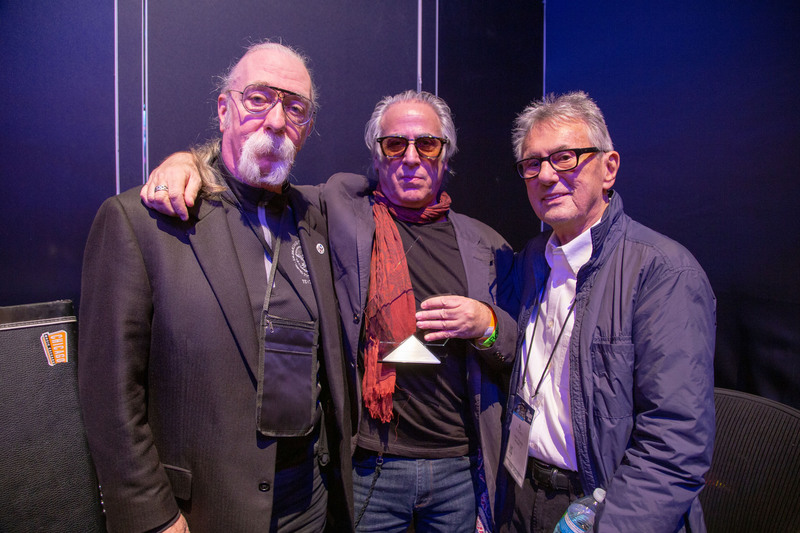 Photo caption: Shown L-R: 2016 Roland/BOSS Lifetime Achievement Award recipient Jeff �Skunk� Baxter; 2019 BOSS Lifetime Achievement Award recipient Danny Kortchmar; and multi-GRAMMY� Award winning producer/engineer Al Schmitt.